The House voted on the Operating Budget just after midnight on Thursday night and it is now on its way to the Senate for further consideration. I have some concerns with this version of the budget in light of the substantial cuts already proposed by the Walker-Mallott Administration. Approving the budget is a continuing process that we will follow closely in the weeks ahead. As always, I value feedback from West Anchorage residents and neighbors in order to better represent you. Please let me know if you ever have any issues or concerns! Everyone in the Legislature understands that the budget is the most important issue that we will consider this year. We are now 44 days into the 90 day legislative session, and you now have the opportunity to exercise your right to be heard on the budget. The Legislature is in the process of making tough decisions about government programs and services, the level at which we will fund programs and changes, and how to continue a strong state economy. Hearing from you about your thoughts and suggestions about the budget is always helpful as we continue to discuss and make decisions about the budget. There are a couple of great opportunities for public testimony in the next week. I always value feedback from West Anchorage residents and neighbors in order to better represent you. Please let me know if you ever have any issues or concerns! 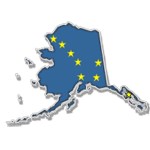 JUNEAU – On Wednesday, the Anchorage Legislative Caucus announced its next public hearing in Anchorage will be February 28, 2015 at the Loussac Library. 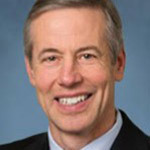 Representative Matt Claman (D-Anchorage) is the new Democratic co-chair of the Anchorage Legislative Caucus and will co-chair the meeting with Representative Liz Vazquez (R-Anchorage), the Republican co-chair of the caucus. Two voter initiatives from the November 2014 Election take effect today: the marijuana initiative and the minimum wage initiative. A goal for both the Legislature and the Walker-Mallot Administration is delivering affordable energy to all Alaskans. Alaska is a resource rich state, yet the cost of energy is very high in Fairbanks and many rural communities. 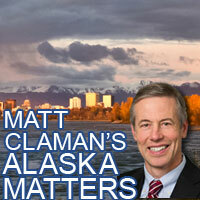 Of course, keeping consumer costs down and affordable in Anchorage will always be a top priority. Here in Juneau, we’ve been learning about an innovative way to address Railbelt electricity costs that I would like to share with you. The budget continues to be the largest driver this legislative session. Every department is being carefully scrutinized, and legislators are asking tough questions about the effectiveness of each program. I am taking a common sense approach and looking for cost savings for the state. Please let me know if you have thoughts or suggestions regarding the budget or any other issue.